Is it possible to see the “maintenance mode user” in SquaredUp? 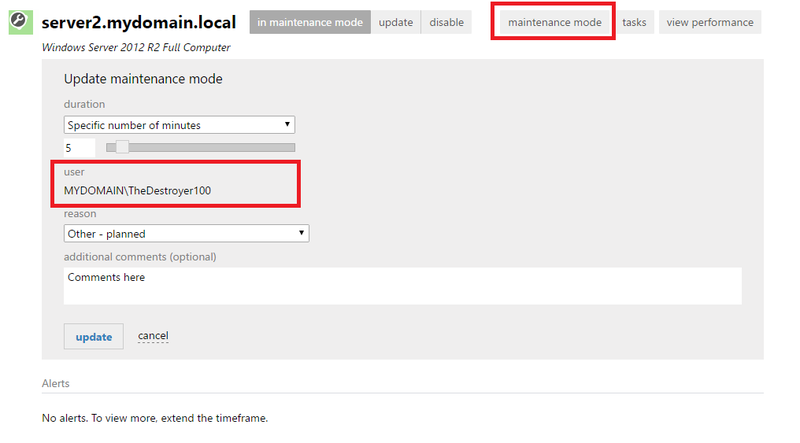 In SCOM you can see the “maintenance mode user” in the detail view when you click on a server. In Squared Up 2.3.9 you can see the user that put the object into maintenance mode by bring up the panel.